The first generation Honda Insight is an early Japanese gas-electric hybrid that features the strange combination of lean-burn engine, a 5-speed manual transmission, extruded aluminum monocoque construction and a sub-1900 lb curb weight -- but is it fun? Yes, albeit with moderate acceleration due to the combined 73 horsepower and pizza cutter tires. However, a K-series Honda engine will fit under the hood. 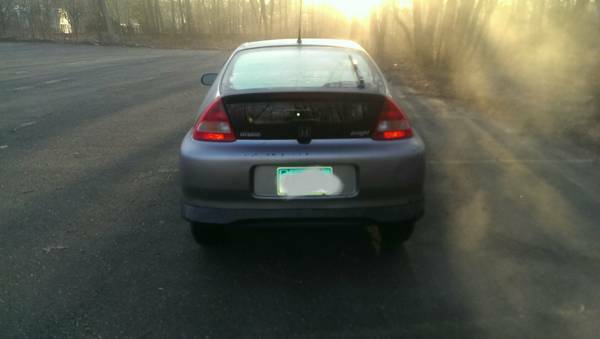 Find this 2000 Honda Insight with K20A2 power offered for $6,500 in Hartford, CT via craigslist. Tip from Cory. 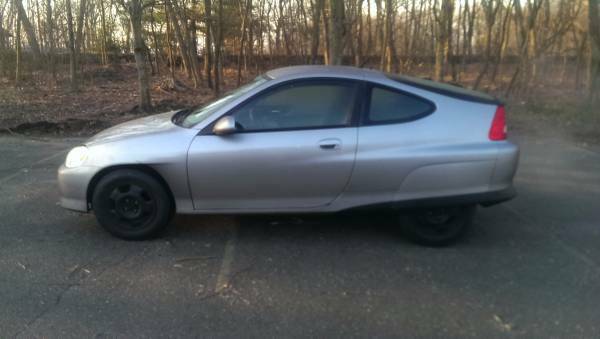 The Insight was shockingly equipped with a 5-speed manual from the factory, a strange appearance of a clutch pedal in the market segment dominated by slushbox equipped tubs of wallpaper paste. Unfortunately this is likely the reason the Insight did so poorly compared to the Prius which welcomed mass transit lovers by the boatload with its decidedly A-to-B business approach to driving. It was remarkable how many people who were not car enthusiasts by the farthest stretch of the imagination came out of the woodwork talking about how great their new Prius was when they first exploded into the market. The original inline-3 with electric assist (not a bad setup at all) has been removed and this one is now powered by a 2.0 liter K20 4-banger that came from a 2000 era Civic Type R or RSX Type S. The original 200 horsepower and 142 ft-lbs of torque should make the sub 2000 lb Insight body quite the little screamer. Neat. OK, I'll ask, why not k24? Batteries gone I hope? Suspension is upgraded, to what? 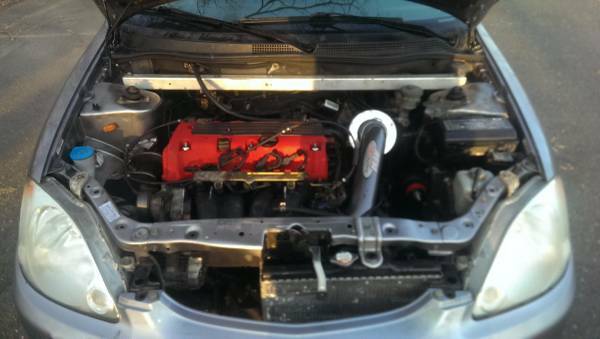 Fast, cheap, sleeper, probably easy to work on, good on gas, hopefully reliable. If could get away with a 2dr car this would be tempting. I've always enjoyed this body style. It's nice to see it infused with some power. Looks like fun. I wonder what the mileage is like vs. the donor. How much of the Insight's mileage was the little motor and hybrid vs. the aero and weight. I'd bet it's still very good mileage.